Worcester Police responded to several calls for hit and run crashes in the city over the weekend. 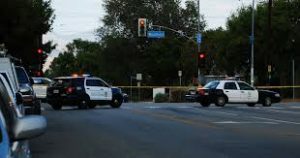 While there were many other incidents in the city, there was an overwhelmingly large number of accidents which expended a substantial amount of law enforcement’s time and energy. A hit and run with injuries occurred in the 100 Block of Shrewsbury Street around 2:00 am Saturday morning. The hit and run resulted in injuries to at least one person. The extent of injuries is not known at this time. Police are still investigating the crash. Charges are expected but it is unknown whether the suspect has been apprehended. Neither of the involved individuals have been identified at this time by police. A hit and run accident is different than a typical accident where all drivers remain on scene. These crashes pose unique and difficult problems for injured victims as well as law enforcement. Personally, they leave you feeling a sense of rage that someone would be so irresponsible to collide with your vehicle and then leave the scene of the accident right away. There are laws in place to prevent a hit and run from happening but, as we know, the law does not always deter criminal behavior. If you have been involved in a hit and run accident with injury, you should first obtain medical treatment and focus on the healing process. Do not delay the healing process by even a single day. Next, you should engage the services of an experienced Massachusetts personal injury attorney. Your attorney will evaluate your case and determine what needs to be done to help you achieve a recovery that will make you whole following the accident. Hit and run accidents are not victimless crimes. Do not let the accident continue to victimize you by trying to handle a hit and run case by yourself or with an inexprienced attorney. At the Law Offices of Jeffrey S. Glassman our attorneys have the experience and competence necessary to succeed in your hit and run case. If you have been involved in a Massachusetts car crash, give us a call today at 617-367-2900 for your free consultation. We are waiting to hear from you.